No doubt you know that freezing temperatures can damage your vehicle in the winter months. But did you know that summer months can be just as hazardous? Scorching summer temperatures can cause tire blowouts, overheated engines, seat and dashboard damage. And can even crack your windshield. Is it really that hot in the US? Yes. In fact, May 2018 was the hottest May in 124 years! 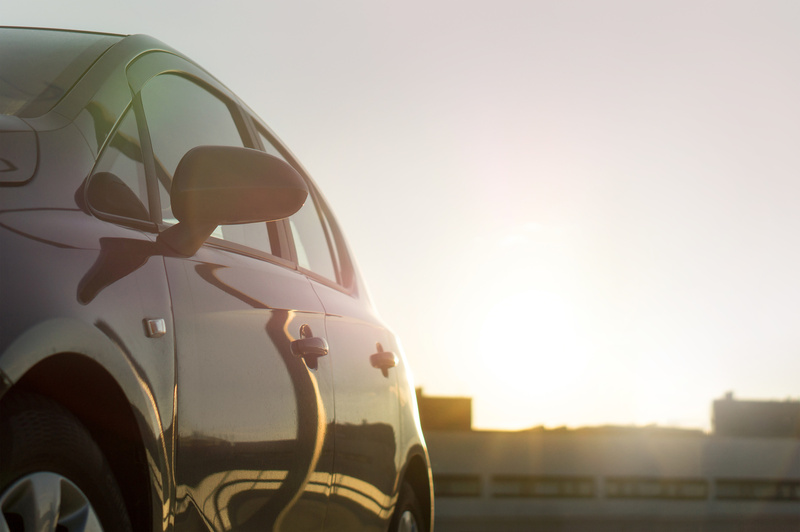 With sweltering temperatures breaking records, it’s time for you to take action and save your vehicle. But, you may be wondering, at what temperature does glass break? And how is it possible to protect your car from the sun? We have all the answers right here. So, what are you waiting for? Let’s crack on. At what temperature does glass break? According to News 8, some cars are reaching temperatures of 200-225 degrees inside. 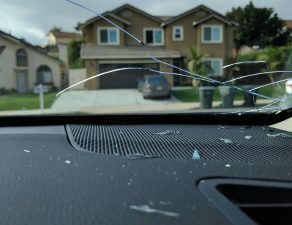 This intense build-up of heat can cause stress cracks or even shatter your windshield completely. And if you already have a teeny tiny chip, your windshield will not stand a chance. It all comes down to science. When a glass heats up it expands. When it cools down, it shrinks. If this process takes place rapidly, a stress crack may occur. Heat from direct sunlight will heat both the windshield temperature and metal parts of the car. 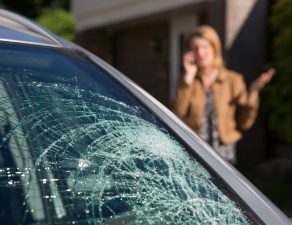 Because the metal edges will heat up faster than the glass, it can cause cracking at the edges of your windshield. While you can’t control the temperature, you can protect your vehicle. 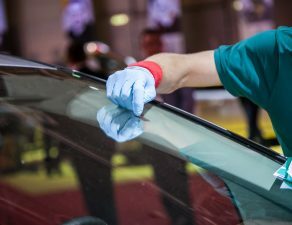 Inspect your windshield often and keep your eyes open for any cracks. EVEN if they seem insignificant. As soon as you see a chip or crack appear in the summer, get it fixed. Often, small chips can be repaired without the whole windshield needing to be replaced. But if you leave it, it might spread into a bigger problem. Keeping your eyes open is a simple way to save money and keep you safe! Parking in the shade is the easiest and most simple form of protection. Avoiding direct sunlight will stop your dashboard from drying and cracking. It will also protect your windshield from excessive heat. If you park your car in the direct sunlight for long periods of time, your windshield can become unstable. This excessive heat can turn a tiny chip or crack into a huge problem. If you have no choice and have to park in the sun there are other simple methods. For instance, if it’s safe, leave your windows open slightly. This will help to lower the interior temperature of the vehicle stopping it from overheating. You can also use a windshield sun protector to keep your car cool. 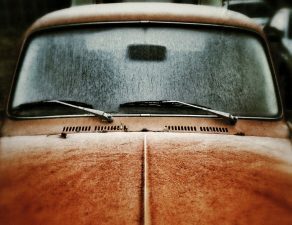 These cheap and simple methods can help to prevent any sun damage to your car. As a bonus, your car will be cooler and comfortable when you get in! AC keeps you comfy and alert when driving. But when you jump into a hot car, resist the urge to blast the AC. Why? 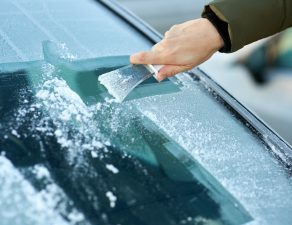 The drastic change in temperature can shatter your car windows. Remember the winter rule not to pour hot water on your windshield when it’s frozen? The same applies the other way round too. When your car has been in direct sunlight you need to open the windows. This will climatize your car to regulate the temperature. After, you can adjust your AC gradually which will help to avoid an extreme temperature change. Keep your interiors safe with a few simple cleaning hacks. Dirt on your dashboard can cause tiny scratches which expand and spread due to the heat. Wipe your dashboard with a microfiber cloth. This will keep dust and dirt to a minimum. Protect your seats with seat covers. They can protect leather or fabric seats from sun damage. But they can also help to keep them cool, especially if they are leather. If you choose not to use seat covers on your leather interiors, make sure to keep them squeaky clean. Wash the seats using conditioner. This will help your seats to stay free from cracks and tears. 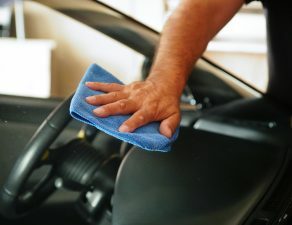 Wash your car with warm water when it’s hot weather. 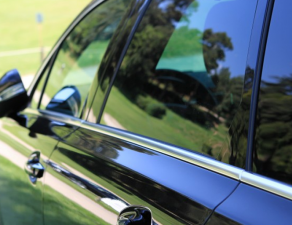 A layer of wax is also a great way to protect your vehicle from the suns ultraviolet rays. Try to keep your car cleaned and waxed frequently for best results. Don’t wash it in the heat of the day. This will cause the damage to spread. Avoid using cold water. The sudden temperature difference can cause the glass to react suddenly. This could lead to large cracks or worse. Avoid running your car through an automatic car wash. 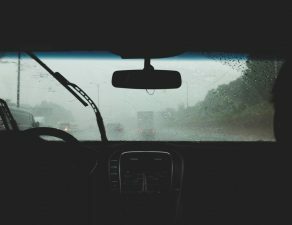 The pressure on your windshield may cause extensive damage. What other things should you check in those sweltering months of the year? Check the tire pressure. Underinflated tires and scorching hot roads can be an explosive combo. Check them often, especially when it’s hot. Protect your engine from overheating by making sure everything is in good working order. For instance, regularly check the belts, the antifreeze, and motor oil. Also the transmission fluid, brake fluid, and power steering fluid. In hot weather, you will no doubt use your AC more often. This will cause your battery to wear out quicker. Make sure it’s checked on a regular basis to see if it’s functioning properly. So, what’s the moral of the story? If you’ve got a crack in your window screen, protect your car from the sun and get it fixed ASAP! 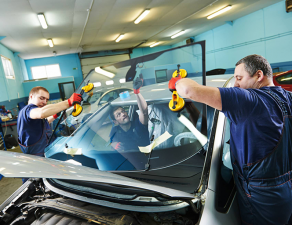 With a full assessment, we can let you know whether your windshield can be repaired and saved. But if it’s safer to have it replaced, we can do the work for you. Contact us today for a quote and we will come straight to you.